The Ministry of Agrarian Policy and Food and grain traders have signed a memorandum to fix forecasted volume of wheat exports in the 2018/2019 marketing year (MY, July-June) at 16 million tonnes against 16.5 million tonnes in the previous MY. The memorandum was signed on Friday, August 10, an Interfax-Ukraine correspondent said. According to the appendix to the memorandum, exports of food wheat, which can be exported this MY, is determined at 8 million tonnes, while coarse wheat exports were fixed at 8 million tonnes. Such document has traditionally been signed since 2011 between the Ministry and the market operators at the beginning of the season. First Deputy Minister of Agrarian Policy and Food Maksym Martyniuk said during the signing ceremony that the figures could be adjusted taking into account the quality and volume of wheat. As reported, the ministry raised its forecast for wheat harvest by one million tonnes, to 24 million tonnes, including 13 million tonnes of food wheat. According to the ministry’s preliminary estimates, the ratio of food/coarse wheat in 2018 will be 55/45. The domestic market demand for food wheat is estimated at 4.5 -5 million tonnes. Ukraine in 2017/2018 MY exported 39.4 million tonnes of grain, including 17.14 million tonnes of wheat. The Ministry of Agrarian Policy and Food of Ukraine has raised the forecast for wheat harvest by one million tonnes, to 24 million tonnes. “Today we’ve received live information from the regions and based on it we improve our current forecast for wheat harvest and its food component. After having threshed 74% of the areas, we expect the wheat harvest at the level of 24 million tonnes, of which 13 million tonnes is food wheat,” First Deputy Minister of Agrarian Policy and Food Maksym Martyniuk wrote on his official Facebook page. According to preliminary estimates from the ministry, the food classes/forage ratio in the wheat crop in 2018 will be 55 versus 45. 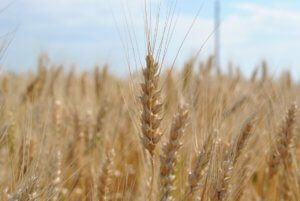 According to the ministry, last year the wheat yield was 26.2 million tonnes. As reported, the ministry announced its intention in the coming days to sign a document with grain traders, which will indicate the projected volumes of grain exports. 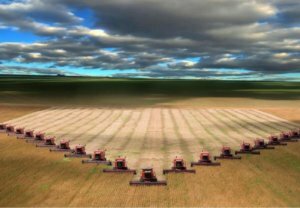 The Kyivstar mobile communications operator with support of the Agricultural Policy and Food Ministry of Ukraine has launched m-Agri mobile application for small farms, the company has said in a press release. “The business application should provide farmers with access to best practices, knowledge base, industry price proposals, news, training resources and online consultations, as well as to bring farmers to new markets to sell their products and provide them with opportunities to grow their business,” the operator said. Currently, seven basic sections are available in the application: news, market prices, weather, finance, knowledge base, Smart Assistant and messages. In the future, it is planned to supplement the functionality of the platform with financial services, a trading platform, and other things. The application is designed for mobile devices on the Android system. 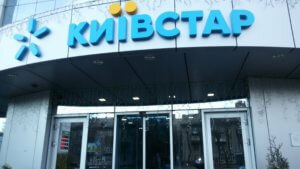 It is free of charge for Kyivstar users. On Google Play the application is a free trial version.